Two videos released during the 4th anniversary live stream series for Star Citizen give us a solid look at and into the capital ships of the UEE. The first features a series of gliding shots of the Idris Frigate, Javelin Destroyer, and Bengal Carrier. We also get a glimpse inside of each of the Big Guns of the UEE. The second video gives a much deeper look inside the design and internal structures of the ships. 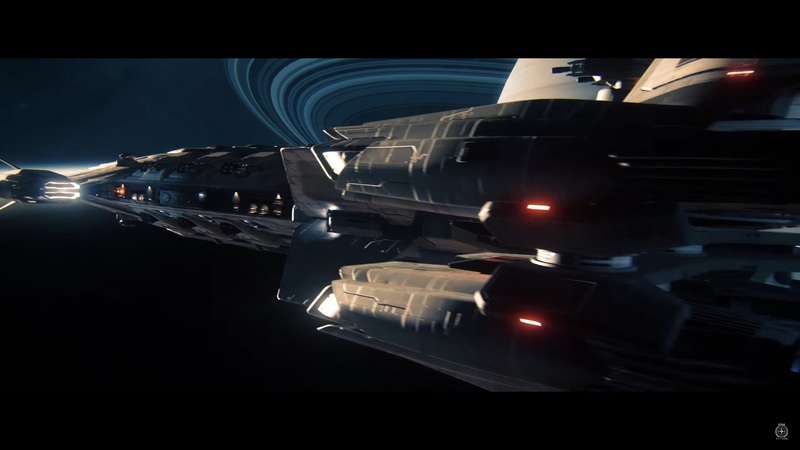 Narrated by Vehicle Art Directory, Nathan Dearsley, the video gives us a personal tour of the inside of the capital ships that will initially be featured in Star Citizen and a little insight into the development process and status of these space-faring behemoths.